A Freedom House report, out this week, categorizes Hungary as the least democratic member state of the European Union. The American conservative think tank, which has been critical of Viktor Orbán’s rule before, argues that democracy faces its most serious challenge in decades and is in crisis in many parts of the world. “Its basic tenets—including guarantees of free and fair elections, the rights of minorities, freedom of the press, and the rule of law—came under attack around the world,” notes the newly released report. “Hungary received a downward trend arrow due to increasing intimidation of civil society groups and the opposition, which has left citizens more reluctant to speak out on political topics,” writes Freedom House. The Czech Republic earned a score of 93 and Poland stands at 85. As such, Hungary is deemed significantly “less free” than any other East/Central European country or member of the Visegrad Group. Even Bulgaria scored higher than Hungary, with 80/100. Further afield, the Netherlands and Canada are deemed by Freedom House to be the world’s two most democratic countries, both scoring 99 out of 100. On Tuesday, the ruling Fidesz party unanimously adopted a declaration in which it rejected “The Soros Plan,” which it claims is hell-bent on turning Hungary into an “immigrant society.” The declaration also charged that “the Soros network has immense influence” and uses Brussels to exert pressure on EU member states. Fidesz did this days after it became public that the government quietly accepted to settle some 1,300 refugees in Hungary–refugees that the government had previously demonized, maintained that they would never accept and alleged formed part of an international conspiracy to destroy the Hungarian nation. Increasingly, the Hungarian ruling party’s orwellian obsession with Mr. Soros appears to be an example of self-parody. The European press and the EU action support the idea that it is Poland. And today is about to be sanctioned by the EU. But what does “democracy” mean in Europe? And to be fair and honest, democracy in its original and true sense do not exist today anyplace. May be in some small New England villages. Where the folks get together on Friday nights at the local watering-hole and decide on every single issue by voice vote. Today we can only consider “the application of democratic principles”, the very best , at least. That on the first Tuesday after the first Monday of every year,can go to the polls and cast a ballot on the election of every public office to be filled by selecting between the candidates. As a P.S. ,since “direct legislation” and “public referendums” are possible, here in Florida, always have so many proposed Constitutional Amendments on the ballots, that many folks are angry, simply because the long legal language of them. Take too long to read them. But sure is a hell of a lot better than trusting a bunch of politicians with it. Not even to mention, that most parts of the world it does not exist, distorted, fabricated, like in Hungary, where selecting only party preference, that the party bosses make all the decisions on their corrupt choice, or sell the sits, or cash or just secure favors. Like the typical feudalistic style taxation, that only guarantee corruption. I missed the month of NOVEMBER, as the day of elections. The bias of freedom-house is in my view confirmed by its score on countries like Germany. Its media is ideologically subservient to the Merkel government. We saw it exposed during the mass-sexual attacks committed by migrants, which has no peace-time precedent in European history, where the media, together with the authorities both clearly worked towards the same goal of not publicizing the event for four days, when they were still somewhat confused in regards to the magnitude of what just happened. 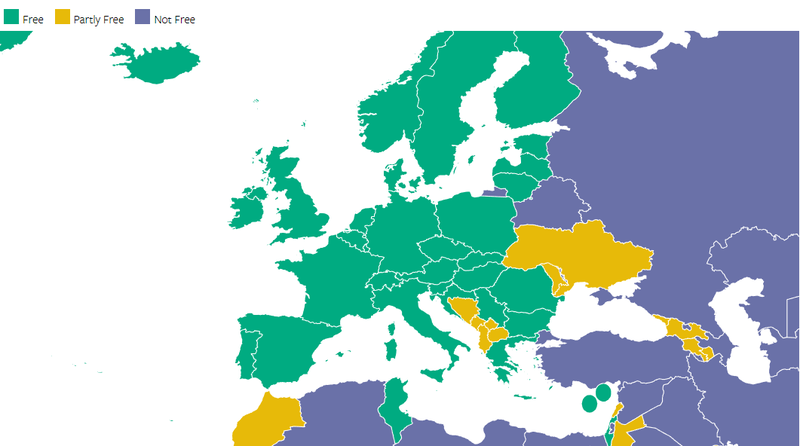 That in my view is not a portrait of media freedom, yet Freedomhouse has been consistently awarding Germany high scores in regards to media freedom (latest is 20, which is higher than US, UK, France. Austria) And even after the social media hate speech law fiasco that is currently unfolding, Germany will still continue to receive high marks in this regard. So, there is a clear example of bias, therefore citing this organization is very problematic. I am not saying that Hungary does not have issues in this regard, but on media freedom for instance, but Freedomhouse also has credibility issues, which call its assessment into question. Here’s our parrot commando croaking again: everybody is crazy – they are all driving the wrong way. When any organization, or even individual conducts and publishes such an assessment on any subject, it would be fair that they disclose ,or publicize the ‘yardstick’ they used to make their measurements by, so to say. So that any one could follow to determine how realistic or fair the assessment might be. The Hungarian government does not demonize immigrants. They are, however, opposed to being forced to accept unvetted immigrants. They defend a sovereign nation’s right to decide who lives among them, and who does not. Furthermore, the Hungarian government agrees with and honors the EU laws regarding refugees and asylees, i.e. those who originate from a region of severe conflict or who are individually persecuted for political or religious beliefs, respectively. That self-same law gives no immigration rights to economic migrants, i.e. those who seek to live in another country just because they might have a better life there. If the EU were to grant unfettered immigration rights to all persons who believe they could have a better life in Europe, and then grant humanitarian aid to them as well, it would be utterly untentable because researchers of every political ilk predict literally endless waves of economic migrants towards Europe. Neither EU nor international law allows for unrestricted free choice of where to live, let alone access to financing from the chosen host country. All countries should uphold all aspects of the law, and economic migrants should not be allowed into Europe in the first place. In the case of the 1,300 coptic Christians, the Hungarian government identified and invited these members of an overtly persecuted minority in Egypt, but only after vetting them according to the government’s standards. Additionally, the Hungarian government engages in various forms of international humanitarian assistance, some of which is administered through the Hungary Helps initiative, and some of which is administered through other channels. It is my understanding that the Hungarian government believes financial and other aid for those who would choose migration for economic reasons is better spent at or near the point of origin. This is better for the individuals in question because it enables them to remain in their homelands with improved quality of life. It also saves them from the atrocious experience of selling all their possessions, collecting money from loved ones, and handing their fates over to human traffickers who may or may not eventually deposit them at the doorstep of Europe with no possessions or resources. Often before arriving to Europe, they are diverted to work as human slaves who must “work off their debts” to the traffickers. Once in Europe, they often spend months or years in camps awaiting reassignment. This experience is worse for people than helping them closer to home. Allowing millions of migrants into Europe is so taxing to its social and security networks as to weaken Europe as a whole, thus compromising its ability to be of assitance to anyone anywhere, let alone take care of its own citizens. First a correction: Finland, Norway and Sweden all have a100/100 score, so deemed by FH to be the world’s two most democratic countries. Have you seen the 2016 Referendum campaign, billboards, commercials, etc? Ever seen a public/state M1 news without one letter about ‘migrants’, ever heard one positive word in the public/state media? Have you noticed the results from all that hate mongering in Hungarian society, e.g.happenings in Őcsény?? The ruling coalition’s billboards that I have seen do not depict immigrants. There are various advertisements raising public awareness about George Soros’s alleged behind-the-scenes activity on the migrant issue. The far right party has put out some stark materials, but they are in the opposition and the current government can’t be held accountable for their actions. I live in Budapest and I know many immigrants who are thriving. Many came to Hungary through academic or professional endeavors, then stayed upon completing those undertakings. Hungary grants scholarships for students from Africa and the Middle East to study in its universities. I know several immigrants from China who have a have a good life in Hungary, most of who came after the Tiananmen Square massacre, and some of whom are first generation post-Tiananmen Square. Now there are approx. 15,000 Hungarian citizens of Chinese origin. The recent granting of citizenship to 1,300 Copic Christians is a bold and compassionate move that I am shocked to see anyone attack for any reason. The real issue is that the immigrants allowed through the mediterranean border were almost entirely unvetted and unvetable, meaning the EU sometimes doesn’t even know the individual’s country of origin or real name, let alone background, economic circumstances, or anything else. THIS is what Hungary considers unacceptable, and I tend to agree. Incidentally, in recent weeks several European leaders have announced support for Mr. Orbán’s approach to the migrant crisis, and other countries have implicitly ratified this view by modifying their own policies regarding border protection, migrant quotas and other matters. It takes guts to stand up for an issue. Regardless of what one thinks of the end product of Obamacare, Obama showed tremendous guts when he stood firm, effectively saying “one way or another we much get expanded health coverage enacted into law, and I am willing to take heat from all sides, perhaps risking a second term, in order to get this done because I believe it is right and I believe it is best for not only the uninsured themselves, but the national as a whole to have a healthier workforce.” This took guts. And it takes guts for Orbán to hold his ground while withstanding distortion and misrepresentation of Hungary’s views. Throughout this crisis, the Hungarian government has proposed other workable solutions at the EU level, and has taken numerous steps domestically to pro-actively address various aspects of the crisis. To take one example, the V4 countries recently proposed that rather than accepting the mandatory quotas and financing those immigrants’ integration, they instead would allot the equivalent amount of money to border areas of Greece and Italy to help shore up their borders, and undertake more humanitarian projects at or near the areas from which most migrants are originating. “I know many immigrants who are thriving. ..” but they arrived before the start of Orban regime’s 2015 scare and hate mongering campaign. Even as the campaign was in full swing approx. 20 000 migrants were sold residence (effectively in other EU countries) by Orban, Rogan & co., who pocketed/misappropriated $220 million in the affair. While I oppose mass immigration I think you should have been shocked not by the criticism of the orban regime, but by the sight of families with children detained a field outside Röszke where the only facility was a yellow tape elevating the field to a “collection center”, or the steel container camp where people were frying under the sun in 35+C temp for weeks. Shade tarpaulins, or any other help for that matter, were not allowed by the authorities – which makes this a deliberate act, i.e. act of torture. Looks like Freedom House not informed about life and politics in Hungary. This is not the first and unfortunately the last time. But I am very well informed and I can assure you their findings are pretty forgiving, in fact the situation is worse – we have a FASCIST LIGHT regime here and it is corrupt to the bone. You have absolutely no idea what are you talking about (which I doubt) or you’re a shameless liar. As noted by Ferenc, the Orbán regime DOES DEMONIZE* the migrants (no “refugees” for him) in every way – TV ads, public posters, print media, citizens forums – it’s all over the place. The latest action is the bills discussed here, can’t you read the above? * The Orban propaganda demonizes everyone opposing him. The Hungarian government DOES NOT agree with and DOES VIOLATE the EU laws regarding refugees and asylum seekers – “we are not going to accept a single migrant” per Orban (leave it all to the Greeks, the Italians and the Spaniards according to the “defender of Europe”). Hungary is also being sued by the EU for this. “If the EU were to grant unfettered immigration rights” Who’s suggesting such? The only ones talking/lying about are the Hungarian regime. “Hungarian government identified and invited these [Copts]” ..you repeat what the gov said, but nothing was revealed about this. The few Copts living here didn’t know anything about it when interviewed. What do you mean by “the Hungarian government engages in various forms of international humanitarian assistance..” when the whole budget for such humanitarian purposes is less than the cost of just one of the poster campaigns. Orban hasn’t done anything ”to take care of its own citizens..” according to the statistics and the trends: health stats are the worst in Europe, healthcare not much higher, education results steadily going down, investment and productivity stagnant, national income polarized with over 40% of the population threatened by poverty, 28% on the poverty line or below, 5% of the population emigrated, etc. etc. Add of Orban/Mészaros becoming officially the 5th richest Hungarian within 7 years exclusively on public work contracts. I do not know the source, date or context of your quote. With that caveat, I will proceed with logic. If Orbán made this exact statement, and if its context does not provide further specification of its meaning, then I assume Orbán would clarify his remarks to say that Hungary won’t accept a single unvetted or forced-by-the EU immigrant. This interpretation would only stand to reason because prior to and since the 2015 crisis, immigrants have been allowed into Hungary via legal means, and – if I understand correctly – the processing of the 1,300 Coptic Christians has been underway for quite some time. So, Orbán clearly did not mean NO immigrants, or there would have actually been NO immigrants throughout this time period. If your quote is very recent, it could possibly mean that Orbán intends to allow absolutely no immigrants going forward, but as of today’s Government Info press conference, I heard no such policy forumlations or intentions from Prime Minister Orbán or his representatives. It intrigues me that you will not address the positive efforts of Orbán’s government in the areas I mentioned, nor do you address other countries’ violations of the Geneva Accords and Schengen Agreement. If people would focus on these endeavors and elevate or support them versus shredding the government’s every move, it might magnify the good that can be achieved through these channels. Speaking for myself, I will say through OUR channels because I am also Hungarian. Even if one takes issue with certain aspects or traits of the government’s activities, one is not exonerated from being helpful and supporting generosity and compassion when they manifest in the government, or elsewhere. Rather, Hungarians should edify the generous aspects of the government’s agenda in the domestic and international arenas while calmly and logically engaging in constructive dialogue about areas that one considers problematic. In this regard, kudos for your efforts participating in this forum. And, yes, assistance is directed to other parts of the world through other, valid sometimes cooperative channels. There are NONE. <=yes that's a POINT! want details? check the link in my name! Question for you; If Niger would benefit from the best government one could humanely put together. Would it not still be one of the poorest countries on earth even after a decade of governance? The reason why I asked this question is because you refered to economic indicators which do not necesarily reflect on Hungary’s recent economic performance, but rather a longer history. For what? It doesn’t take a PhD to see that when the trends are negative more time means getting worse. – German cars sales booming. Riding all this and getting nowhere. What when these start to turn or, God forbid, the next crisis hits? What trends are negative? Real wages are up 10% last year, and that is up in Euros as well, given the forint is stable. And Hungary would not have a low interest rate if it were not for many of the policies of the past years. Let me remind you that while in 2008 everyone was rushing to lower interest rates, Hungary was raising already high interest rates in order to defend the forint, because of the FX debt at consumer & government level. It is the current government which got the country out of that trap. Low oil prices? Actually, in the 2010-2017 period oil prices have been higher compared with any other period of time of similar length. EU funds? Yes, but those funds were also available to previous government 2004-2010, yet Hungary experienced low growth compared with regional peers, with high deficits, averaging 7%, not to mention the consumer FX debt bubble, as well as government debt going from 56% of GDP to 83%. During current government debt/GDP has been declining, as well as consumer debt/GDP, not to mention that FX portion has been slashed big time. To sum up the past eight years, it has been one of fixing the fundamentals, without which Hungary would be a complete basket case. If you think that a government can take good care of health care, education and so on, while its economy is a mess, take a second look at Greece. Let us not forget that Hungary’s economy skidded into the ditch in 2007 already, with 0% growth, while in Romania & Slovakia they were averaging 8%. Hungary was also the first EU country to need an IMF bailout in 2008, for good reason! Firstly see my comments Jan 19 12.18 nelow. “What trends are negative?” Almost all. “Real wages are up” – I agreed, but you didn’t address the distribution issue. Moreover the real diposable income has been falling and in Slovakia it’s now 60% higher. Interest rates in Hu are not low “if it were not for many of the policies of the past years”, but because they are low in the whole OECD. “ raising already high interest rates” – they were most drastically raised by MNB under Zs.Járai, Orban’s former fin minister, e.g. by 300 points at once. Intentionally or not this impeded KKV business growth and pushed millions into FX loans. “..the current government ..got the country out of that trap” by first offering conversion at CHF/HUF 180 for those who could repay the whole debt at once !! Guess who benefited form this gift – ALL gov MPs had and converted their FX loans. Then the mafia gov offered/made all others to convert at 256 and we have 100 k troubled loans now. Clear enough? The MNB FX reserves also dropped from EUR 35 billion to 19 !! Oil prices – the world agrees they were very low, whatever you think. EU funds – in 2016 the EU funding took a dip and growth came to 1.6%. Clear enough? Hun growth is on a divergent trend with the EE countries, Hu is slipping behind. Budget deficits were not “averaging 7%” but less. The current deficit is actually more than 3%, due to accounting tricks hiding it in the lower levels, e.g. schools and hospital unpaid bills “consolidated” by ad hoc injections. Add the emaciation of the infrastructures. In 2011 the gov stopped contributing to any pension funds, while previous govs did so to the tune of 350 billion/year 2010, or approx.. 2.5% budget, which alone explains the difference. The overall GGDebt topped 81% before 2010, but there were 3000 billions in the pension funds = 11+% of GDP. Taking this into account the GGD was 70% apples for apples. To sum up the past eight years – the Orban regime has been first of all robbing the public domain blind and fixing nothing – see productivity, investment $, business environment, education results, disposable income, emigration etc. The significant new, e.g. Mercedes investments were agreed upon by previous govs. What new developments, ideas/directions, etc from the gov can you list? If anything, business has been riding on the very favorable international conditions I listed below DESPITE the activities of the Orban regime. OK, a lot of nonsense there, so I will address only one which is very obviously false, namely that interest rates are low in all of the OECD. Hungarian 10 year bonds currently have a yield of about 2%. Greece, 3.8%, while still on IMF & EU life suport. Chile 4.5%, Turkey, 11.8%, Korea 2.6%, Mexico, 7.6%. These are all OECD countries and as we can see, Hungary was not pre-destined to have low yields, it had to be earned. And Hungary earned it, despite entering the 2008 crisis as one of the most vulnerable OECD economies. Like I said, there is a reason why it was the first to need an IMF bailout. The low interest rate narative is mainly the result of ECB and US Fed policies. Policies that they can undertake given they are custodians of major reserve currencies. Now obviously I will not fact check the rest of your nonsense that you are intent on basing your arguments on, but it is mostly nonsense as I pointed out with this example! Wow, you killed me by choosing the most troubled currencies. Why not show the avr or Europe/N.America? Dude! Called you out on it, proved it to be nonesense. The very least you could do is be more humble. What you should not do is continue on the offensive. Let me call you out on one more that you just served up. There have been significant new investments. Three major EV battery plants in just the past year or so. Mercedes announced a new investment matching the last one in proportion. So here we go once again, your arguments are based on nonsense. And even after being called out for being factually wrong, you just keep going! While drawing down EU cohesion funds at one of the highest rates, the investment in Hu has been a paltry 16-18% GDP, e.g. 18% in 2016 only four countries in the EU have less. This problematic issue is being raised at every economics conference here, so you better believe the Earth is not flat. So you keep throwing them hoping that something will stick? Undeniable fact: Hungary suffered a double debt bubble shock in the not-too distant past. It was a government debt bubble, accompanied by a toxic consumer FX bubble. Hungary was in the same boat with Greece, Portugal and Italy in this regard. Hungary is currently in a fundamental debt deleveraging cycle at both levels, making it impossible to also excel in investments. It is no coincidence that if one looks at your link, those are the countries where investment is lagging. Both government & consumer debt as a percentage of GDP are constantly declining however, which is the difference between Hungary & other distressed EU economies. The other countries are suffering from low investments while they are unsuccessful in deleveraging as well. In Hungary debt deleveraging will eventually ease, leading to higher investment. So I repeat, this criticism is outright idiotic, because one cannot expect both debt deleveraging & elevated investments at the same time. Yes lower investments is a problem, but Hungary needed to undergo debt deleveraging and you cannot have both. Your good English and polite tone doesn’t change any facts. Don’t you read this blog? Do so and you may see that the Earth is not flat. OBSERVER: “I know many immigrants who are thriving. ..” but they arrived before the start of Orban regime’s 2015 scare and hate mongering campaign. Even as the campaign was in full swing approx. 20 000 migrants were sold residence (effectively in other EU countries) by Orban, Rogan & co., who pocketed/misappropriated $220 million in the affair. RESPONSE: My post did not address who was governing Hungarian when the Chinese immigrants came, I am saying that NOW they are thriving and comfortable here. 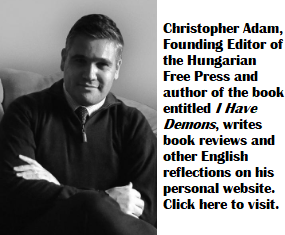 I have spoken with many of them, and have spoken wiht many other Hungarians about them, and have yet to encounter a pocket of social tension between Chinese immigrants in Budapest and Budapest natives. From and among all parties, accusations of embezzelment, stealing, nepotism and general corruption are more common in Budapest than smog in summer. So, in this particular case, I would be interested in proof of the misappropriation you mentioned. OBSERVER: While I oppose mass immigration I think you should have been shocked not by the criticism of the orban regime, but by the sight of families with children detained a field outside Röszke where the only facility was a yellow tape elevating the field to a “collection center”, or the steel container camp where people were frying under the sun in 35+C temp for weeks. Shade tarpaulins, or any other help for that matter, were not allowed by the authorities – which makes this a deliberate act, i.e. act of torture. RESPONSE: If there are reliable accounts of humans being housed in 35C containers, and if they had no cooler options available (e.g. standard issue canvas UNHCR tents), then that would be wrong. Surely this circumstance would have been mentioned specifically in the UNHCR’s report, which I will re-read to verify. If it was mentioned, I assume it was corrected by border patrol, or there would have been an outcry that hit my radar. My recollection is that the UNHCR considered PODS inappropriate for use as processing centers and dwellings, which is odd because many construction companies have POD offices on site, and many schools have POD classrooms. Again, I will re-read the report. If in fact human beings were not provided sufficient temperature control, I would condemn that and, again, hope and trust that it was promptly corrected. I don’t have any problem with tape. If I was fleeing my country to preserve my own and my family’s life, it would not be in the farthest reaches of my mind to complain about what materials were used to delineate our processing and reception. If literally no privacy was offered, that would be unacceptable, but it is quite hard for me to imagine that would have been the case. I am open to documentation here as well, and will dig around the net later tonight. To be clear, NONE of what you said even remotely equates to intentional torture. Clearly, the intention was to manage a huge number of suffering and sometimes violent people who preciptitously appeared on Hungary’s southern border. That was the intention. To use your words,”not being allowed by authorities” does not equal deliberate acts of torture. A prosecutor trying to convict someone of deliberate torture from this fact pattern would fail. I personally know some guards, reporters and missionaries who covered the southern border and none of them mentioned the malicious intent you describe. The reporter who tripped someone was prosecutred and received 3 years probation, and no one I respect or with whom I am acquainted condoned her actions, nor do I.
I’ll give you a point: the deliberate prevention of the installation of shade tarpaulins may not stand in court as torture. Lets ‘s repeat my yellow tape example – these people, women, children, all, were kept in an open field, barren soil, no tents, no water, nothing. And this field, surrounded by this yellow tape, was referred to as collection center. Considered together with the appalling conditions created by the government at the Keleti station in August 2015, the closure of refugee facilities, the actions against people and NGOs trying to offer some elementary relief then, keeping refugees in tents in freezing temperatures last winter, the physical treatment, all point to a policy, of making the conditions as bad as possible. Your radar seems to be blind, but for the Hun gov emissions. But yiur’re better than Nancy Right (in the Richard Dawkins interview). the creationist I was referring to is called Wendy Wright (not Nancy Right). Your anger is obvious, but I am not sure why it is directed at me. I am neither a liar, nor am I ignorant. I have not misrepresented anything in these posts. If I there are errors of fact in my explanation, they are unintentional and somehow withstood my attempts to fact check. I am open to corrections, and I distinclty favor verifiable data. In fact, that is why I read this site, because I learn a great deal. I sometimes agree and sometimes don’t, and sometimes my view is influenced or changed by what I read here or elsewhere. All that said, I am busy and I never intended to argue about anything other than the topic of my original post. As a general principle, I will say that I am intrigued by your selective citing of economic figures, i.e. your having ommitted all positive indicators like GDP, unemployment, wage increase, national debt and corporate tax rate, to name a few. You also entirely ommitted economic TRENDS as indicators that can be more revealing of the health of an economy, and which enable the assessment of leaders and policies relative to the dates they took effect. I would like to remind you that my original post focused on exactly one aspect of your original post. Yet your palpable-through-the-computer-screen anger has driven your accusations all over the governmental map like cattle jerking hither and yon while chased by a rabid australian shepard dog, with no herdsman in site. It was surely not my intent to bring forth this trait of yours via my comments, and I wish you a lovely afternoon and evening. again please check the link in my name, and you’ll should be surprised “how good” Hungary under OV is doing since 2010 compared to the other V4 countries (and sometimes even Romania). Have FUN with it! Furthermore note that the proven (see my infograms) lowest* development in the V4 under the current HU government is ‘achieved’ with the highest EU funding per person. My anger is directed at all ignorants, liars and Fidesz trolls who come to repeat the regime’s propaganda panels against all evidence, and you perfectly qualify. You seem to be totally impervious to information and arguments, e.g. what more proof of corruption you need, when there’s Mèszaros? Can you name one PM/leader in Europe in the last 200 years who’s gone from 0 to become the 5the richest person in 7 years on gov contracts? Add hundreds of examples presents in HS or here … unless you believe that pigs can fly in Orbanistan. Julia, I hope you checked the links under my name (to some infograms comparing data for V4 countries over some years). And this has given you some (other) food for (independent) thought. PS: I made those comparisons originally for myself, as I sensed “valami nem stimme” (somethings not right) with the view pushed by the HU government about their own “achievements”. If you’re not be a gov troll, then you have the other two categories to choose from. Tnx for the charts – they are worth many words. – GDP growth of 4% while drawing 6% from cohesion funds? fostered work (an expensive failure being scaled down) + more unemployed, who in the absence of any benefits don’t register. – wage increase – YES, but in a skewed way leading poverty growth and unsustainable since productivity is stagnant. 2010 high of 70% (taking into account the 3000 bil. Ft pension funds available then turning into a gov liability now). – corporate tax rate – if low it’s a negative factor for gov revenue/the public, unless it stimulates investment, which it had not. You guys keep throwing around allagations and figures in your arguments that about to make any one’s head spinning. Can you give some indications that any of that could be even close to reality? Like Hungary’s national debt 81% of the GDP ? Even Greece or Nigeria never came close to such figures. And that there was 3000 Billion in the Pention Fund, a 70% of the GDP. ? Orban sold and pocketed over 200 million by selling residential property to Chinese . How ? (He must be more successful than was Trump). Can you give some data that may be verifiable, that may give some reasonable idea on those claims? Use the Internet, all the figures are there. U may need an economics course too. GGD in Europe is on avr 80%, Japan 200% if I remember well. Orban/Rogan pocketed more than 200 million Euro by selling residency bonds, don’t know of any property. Yes, I have checked the available figures, and you are wrong. But going back to the original subject of the article. Just what makes you think that Hungarians would even consider, much less desire “democracy”? That has not been addressed by any comments. Just arguments about silly and meaningless allegations and statistics. Any bonds sold must have the value guaranteed that it is offered for. Beside it has to be paid back with interest. You attempt to make us believe that they just sell worthless government bonds and skip town with the money? If the government sells it, the government does guarantees it. RESPONSE: We are entitled to cohesion funds under our agreements signed to join the EU. It is my understanding that they are intended to offset revenues lost when opening borders to companies throughout the EU. Many of those companies do extremely well here, and they pay taxes where they are headquartered. So, unless the EU erred in its ‘offset’ calculation, then the GDP growth still stands. Also, GDP growth is in an upward trend, which is independent of cohesion funds. RESPONSE: Those working abroad are not unemployed, and many of them pay taxes here. I think so-called fostered work is a great idea – we could use it in the States. RESPONSE: This comment betrays your strong penchant for skewing the government’s achievements. RESPONSE: If you are correct that the low tax rate has not stimulated investment, then I agree that the policy isn’t working and should not be listed as a positive indicator (unless the situation were to change. A thorough analysis of protectionist measures would fit in this equation, too). Your assessment is moreover echoed by things I have heard from local investors and business leaders. I will learn more about this. In any event, it will be interesting to see how the new tax policy plays out in America. I thought the Reagan years had answered it, but I guess not. *Indiana offers a good example. They just went through a decade-long, massive battle over extending one of its highways through an underpopulated region. Doing so definitely had an environmental cost that many considered unacceptable, including destroying unique karst terrain and primitive forests, as well as endangering some species. This is heartbreaking and irreversible. But a series of Republican governors looked at the benefit to the trucking industry, and at development that might ensue by increasing access to that part of the state (which happens to be very poor and is in the throes of an opioid crisis), and to the fact that a new fluvial port is being built near the planned highway. So the highway is underway, and construction on the next segment is about to kick in. This, too, will be an interesting experiment. Will commerce grow? Will social and economic conditions in that part of the state improve? If so, will these benefits outweigh the lost natural resources? I guess time will tell. I am sure all sides are closely monitoring it. OBS: Cohesion funds are to help convergence, there’s no “offset”, no “revenues lost”. Some foreign cos do well some poorly (witness their leaving), so ? Taxes are paid as per EU rules, no issue. The GDP is on an upward trend of 1-2%, without cohesion money, neighbors grow at double that rate. OBS: No, those working abroad pay there (the higher rate). Good luck trying to work Americans in lieu of traditional benefits for 60% of minimal wages, as done in Hun. OBS: Your response betrays ignorance of economic basics – productivity determines wages. – national debt will be officially 75% GDP. Compared with the 2010 high of 70% (taking into account the 3000 bil. Ft pension funds available then turning into a gov liability now). OBS: This is joke, right? RESPONSE: If you are correct that the low tax rate has not stimulated investment, then I agree that the policy isn’t working and should not be listed as a positive indicator ..
OBS: Correct, since there’s nothing on the positive side of the ledger, the balance is negative. Since some of your expressions come almost verbatim from the outrageously deceitful gov propaganda, I suggest you consult other sources if you want to see beyond the Potemkin façade. Ferenc, you’re right, after writing to you last night I realized that I lhad “broken my pledge”.I hadn’t remembered your name (i.e., I had you confused with someone else). Now, I do have it straight. Take care. And this on declining Hun competitiveness, boding disaster in the medium term. I would like to amend my statement about based on more recent information I’ve encountered. approximately 1300 immigrants were admitted last year for temporary protection, as far as we know, are not Coptic Christians but represent a variety countries. Most of the protected individuals are from abjectly war torn countries.